Courage, Muriel, and Eustace stay at a motel and get freaked out by spiders and a crazy cat called Katz, who hunts them down. Muriel comes to the rescue and saves Courage from Katz, then takes everyone home. Muriel and Courage are feeding birds at the park. A cajun fox walks by and decides to capture Muriel, so he can make a cajun granny stew. Courage and the fox fight over her on land and on an airplane. Finally, Courage saves her at the last minute. A scientist dies and his shadow spooks the town of Nowhere and then the Bagges house. The shadow then admits he is tired of scaring people and decides to become a star in the sky, literally! Bigfoot comes to the Bagge house. Courage and Bigfoot have a food fight, dance in Carmen Miranda outfits and have a good time. All the fun comes to an abrupt stop as soon as a mob of people arrive to get a reward for Bigfoot. Bigfoots dad shows up and takes him home, without anyone getting hurt. Eustace wants more hair on his head and buys this new tonic. Little does he know that when he gets mad, the effect of the tonic makes him dangerously angry! Muriel orders a new mattress and when she lays on it, a demon inside the mattress enters her body and takes over. Courage gets rid of the demon by finding a chant on The Computer. It exits Muriels body and the mattress is sent back. Muriel invites her deranged relative, Fred, to their home. He has a problem, though. He cant stop giving haircuts. He shaves all of Courages hair off, and he gets caught by the police, who send him back to an insane asylum. Eustace hires Shirley the medium to settle differences between Eustace and his dead brother, Horace. Some creepy stuff happens and Eustace gets his brothers box, but not in a good way. Eustace gets a terrible foot fungus, and it grows until it takes over Eustaces body! The foot makes Courage steal money or else Muriel gets it. 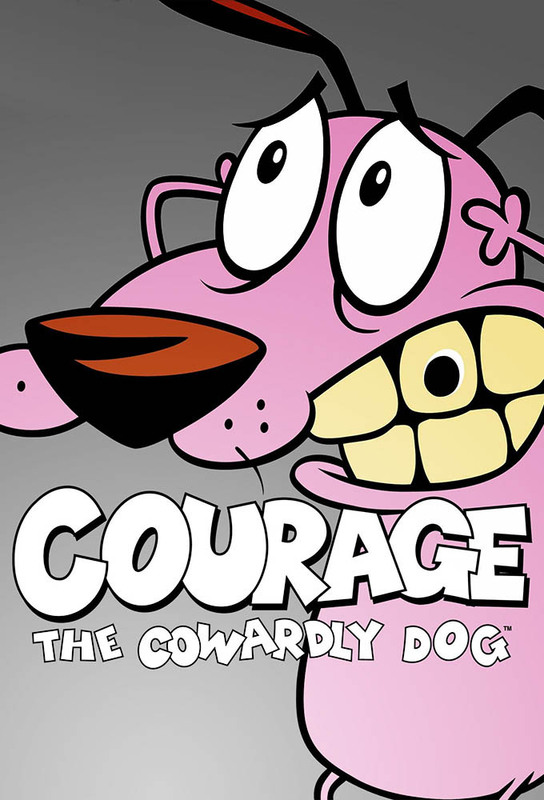 Courage goes on the computer and finds out dog spit will get rid of the fungus. So, he licks the foot until its gone and Eustace is back. Muriels homegrown eggplants (that live underground) arent getting enough water and try to attack her. Courage, after constantly trying, finally stops the eggplants from eating Muriel and give the eggplants water. Everything goes back to normal, and Muriel wins an award for the best eggplants. Little Muriel: Muriel is picked up by a tornado and is turned into a little kid. Courage has to put up with Little Muriels antics and must find a tornado spinning the opposite direction to change Muriel back.